Getting yourself into debt is a stressful situation to begin with, and it is one that people usually like to hide from their friends and family. No one wants other people to know that they have gotten themselves into this situation. Unfortunately, in this interconnected age of social networking, it has become all too easy for debt collectors to discover exactly who your loved ones are, and to then let them know about your personal financial issues. While this may sound like a far fetched idea, it has actually been happening on Facebook due to some less that scrupulous debt collectors. According to WTSP, Melanie Beacham fell behind on her car payments when she fell ill and had to take time off from work. She talked with the finance company and kept them up to date on what was happening, but as it got worse, they turned up the heat on her. MarkOne Financial was calling her up to 20 times a day, and then she received a call from her sister in Georgia to say that the company had informed her of the situation via Facebook. Ms. Beacham has now retained Tampa-based consumer attorney Billy Howard of Morgan & Morgan to help her file a lawsuit against the company over its new practice. Mr. Howard told the television station, “It’s getting the desired result, and that is to start a domino effect of panic and embarrassment among family and friends, and people will do anything to stop that.” The attorney went on to say that he could see this turning into a common practice. 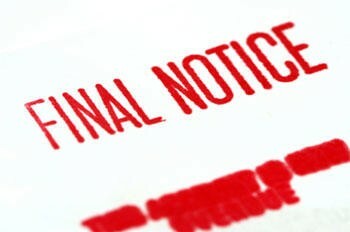 There are state and federal laws and FTC regulations that govern the actions of debt collectors. The collector in the St. Petersburg case likely violates a number of these laws and regulations and we encourage the victim to contact the FTC and her state Attorney General. In addition, Facebook policies prohibit any kind of threatening, intimidating, or hateful contact from one user to another. We encourage people to report such behavior to us, only accept friend requests from people that they know, and use privacy settings and our blocking feature to prevent unwanted contact. So, no matter what the result of the lawsuit, MarkOne Financial has already broken the law, but don’t be too surprised if debt collectors find other ways around this. They could leave messages on your wall, “Please call such-and-such firm at this number in regards to your account”. Yes, you could delete that, but would you be able to do so before someone else saw it? They wouldn’t be telling anyone about your debt, they’d just be “contacting you” the only way they knew how. What say you? 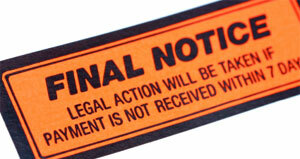 Is this taking debt collection too far?